A passenger plane with 127 on board in Pakistan has crashed in a residential area near Islamabad's Benazir Bhutto international airport. 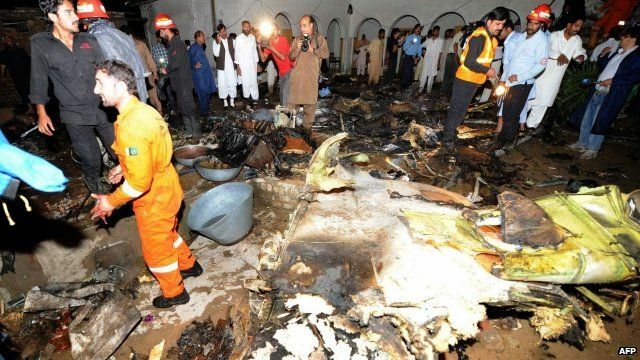 The Bhoja Air plane, flight BHO-213, was flying from Karachi to Islamabad when it came down in a heavy storm. There have been no reports of any survivors and no comment from the airline.